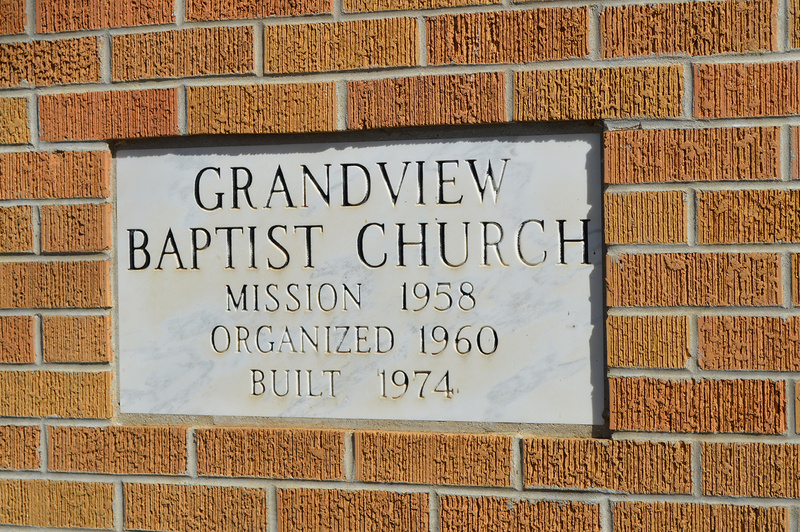 Grandview Baptist Church began in 1958 with a vision of reaching people with the gospel of Jesus Christ – a vision which continues to this present day. Contribute to God’s glory by fulfilling their purpose in life. Touch the heart of God in worship. Relate together in biblical community. Understand and apply God’s Word to daily life. Take the gospel to the world. Help people in practical ways. Biblical Instruction – We are committed to teaching the word of truth. Inspiring Praise and Worship – We are committed to glorifying God in song and service for His greatness and goodness. Loving Fellowship – We are committed to cultivating a Christ-like, loving atmosphere within the body. Biblical Community – We are committed to show God’s love to all people of all ages by sharing our resources to meet each other’s needs. Prayer – We are committed to depending on God to work in and through us. Active Evangelism – We are committed to reaching the lost with the gospel. Creativity and Innovation – We are committed to being open to new forms and methods. We are more concerned with effectiveness in ministry than with adherence to tradition. Lay Ministry – We are committed to encouraging all believers to utilize their spiritual gifts and talents. Generous Giving – We are committed to making monetary sacrifices in order to advance God’s kingdom and meet people’s needs. Family Affirmation – We are committed to providing an atmosphere which strengthens marriages and families. We are committed to strong youth and children’s programs. The search for purpose in life has puzzled people for thousands of years because we usually look in the wrong place: ourselves. You won’t discover purpose by looking within yourself. Only God, the Creator of life, can reveal your purpose here on earth. We are sinful. “For all have sinned and fall short of the glory of God.” Romans 3:23.